Home / Viral / Open letter to Foreign Policy awarding De Lima: Only proves how out-of-touch you are to our reality. Open letter to Foreign Policy awarding De Lima: Only proves how out-of-touch you are to our reality. Miss Sass Rogando Sasot, an active netizen and one of the die-hard supporters of Duterte administration, she expressed her disappointment to foreign policy regarding of awarding the 100 Global Thinkers of 2016 to Senator Leila De Lima. Sasot introduced Herbert Colangco, one of the big time drug lord and runs his drug business while inside the national Penitentiary. She said in his open letter that while De Lima was the Secretary of Justice, Mr. Colangco was able to record an album and able to have a concert inside the prison. Meet Herbert Colangco. He's a drug lord, handling Triad Mindanao. Colangco runs his drug business while inside the national penitentiary. His gf is Nova Princess Parojinog, part of the narco-politics family running Ozamis City, dubbed as the shabu capital of Mindanao. 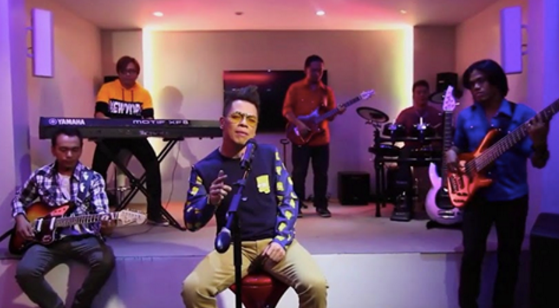 When Senator De Lima was the Secretary of Justice, Colangco was able to record an album, was able to have a concert inside the prison, and he won “New Male Recording Artist” award at the 6th Philippine Movie Press Club in 2014. Yup, that's the same Leila de Lima you awarded as 100 Global Thinkers of 2016. You honoured her for standing up to Duterte who is doing his best to dismantle the machinery of narco-politics in our country. That award only proves how out-of-touch you are to our reality. Shame on you!